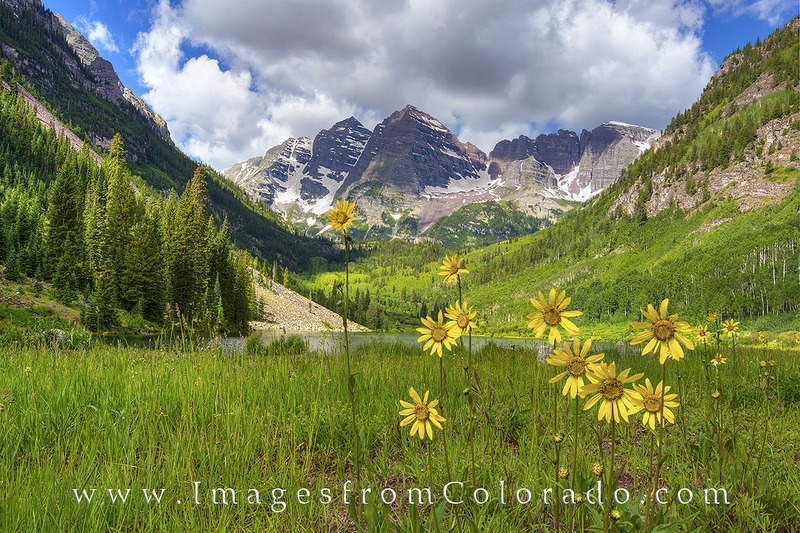 Sunflowers rise up from the green grass and add a nice foreground to one of Colorado's most photographed locations - the Maroon Bells near Aspen. With Maroon Lake in their shadow, Maroon Peak and North Maroon Peak soar over 14,000' into the morning summer sky. Photo © copyright by Rob Greebon.